What Happens When the Defendant Dies Before a Personal Injury Lawsuit Is Served? 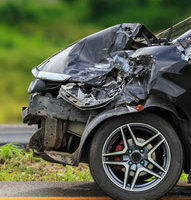 There are a number of things that can go wrong with a personal injury lawsuit that are outside of the victim’s control. For example, what happens if you are in a car accident and the other driver passes away before you have a chance to file your lawsuit? Now, you might say the answer is to sue their estate. But what if no estate was opened? A recent decision by the Tennessee Court of Appeals, Owens v. Muenzel, shows how this scenario can play out. This case started with an auto accident that occurred on May 11, 2015. Dates are critical when it comes to personal injury cases, because under Tennessee law there is generally a one-year statute of limitations on such claims. In other words, the plaintiffs in this case needed to file and serve their lawsuit on the defendant no later than May 11, 2016. The plaintiffs actually filed their complaint on March 30, 2016, several weeks before the one-year deadline. Unfortunately, it turned out the defendant passed away on November 14, 2015. The plaintiffs were not aware of this until their service was returned by the sheriff. Since the plaintiffs filed their personal injury lawsuit in circuit court, they asked that same court to appoint an administrator ad litem. The court did just that. But this turned out to be a mistake. In Tennessee, only chancery courts can handle probate matters involving estates. So the circuit court’s appointment turned out to be void. Complicating matters further was the plaintiffs’ own insurance carrier. The plaintiffs filed a claim for benefits under their uninsured motorist (UM) policy. The insurer balked at this, however, citing the lack of proper service on the known defendant, which was a condition of receiving UM benefits. To make a long story short, the circuit court ended up dismissing the plaintiffs’ lawsuit in its entirety. The Court of Appeals affirmed that decision. Basically, once the defendant died, Tennessee law automatically tolls the one-year statute of limitations for up to six months until an administrator could be appointed. Here, that meant the clock stopped from November 2015 to May 2016, and the statute of limitations finally expired in November 2016. Since the plaintiffs’ failed to get an administrator at litem properly appointed before the date–as the circuit court voided its earlier illegal appointment–they were out of luck. It is never a good thing when accident victims are denied their day in court due to purely procedural issues. This is why it is critical to get legal advice from a qualified Sevierville car accident attorney as soon as possible following an accident. Contact the offices of Fox & Farley, Attorneys at Law, if you need help today.